I have worked in the employment related services sector for over 13 years, firstly holding a number of front line roles including advisor, recruitment officer, key worker, tutor and training officer. Over the last decade I have held senior management positions in private and third sector organisations, leading large teams to deliver over 50 different contracts across the employability, learning and skills, education and justice sectors. 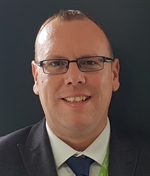 I started at Shaw Trust in 2013 and have spent the last five years as Head of Operations, leading Work Programme, Work Choice and offender management contracts across the UK. In my current role, I am responsible for all Work and Health Programme delivery across Central England, Home Counties and West London, as well as a number of employment pilots and projects. I lead a team of around 300 staff and a diverse supply chain of over 30 partners.